Collegial and collaborative describe the Olin community. With approximately 1,800 students in 12 degree programs, class size is perfect for interactive learning, team-focused work and first-name-basis relationships with professors. Flexible curriculum allows for career-oriented experiences every semester like consulting projects in the U.S. or abroad, internships and board fellowships, plus study options on six continents. Entrepreneurship courses and competitions foster a thriving startup environment. Olin alumni lead with purpose, integrity and critical thinking skills required to succeed in the global economy. Olin looks for self-directed, disciplined professionals who will be highly involved in the MBA community as demonstrated by their academic proficiency, leadership potential, communication skills, and history of participation in extracurricular activities. To apply to Olin, students must submit a completed application form (which includes several es...Olin looks for self-directed, disciplined professionals who will be highly involved in the MBA community as demonstrated by their academic proficiency, leadership potential, communication skills, and history of participation in extracurricular activities. To apply to Olin, students must submit a completed application form (which includes several essays and a resume), official transcripts from college, two letters of recommendation, GMAT scores, and, for international students, TOEFL scores. Though there are no official minimums for entry into the program, last year's incoming class had an average GMAT score of 686 and an average GPA of 3.42. There is also no minimum work requirement, though the average work experience for students in last year's entering class was 4 years. When it comes to the job market, Olin MBAs are definitely competitive applicants (as evidenced by “very high post graduation employment rates”). Indeed, Wash U. “has a great reputation with a number of outstanding companies that hire for…general corpo­rate management, finance, and operations.” Additionally, as one marketing student proudly reveals, there’s a “strong recruiting presence for brand management” as well. Many students are also “extremely impressed by [the] career services office.” The coun­selors available provide fantastic, personalized advice tailored to each student’s individ­ual skill-sets and professional interests. While you can definitely find a smattering of Wash U. MBAs scattered about the country, the majority of graduates finds jobs within the Midwest. Employers that frequently hire Wash. U. students include Citigroup, First National Bank of Omaha, IBM, Microsoft, Proctor & Gamble, Wells Fargo, Johnson & Johnson, Emerson, and Nestle Purina Pet Care. Peer tutoring is arranged on an individual, as-needed basis through the MBA programs student services office. There is no charge to the student for this service. 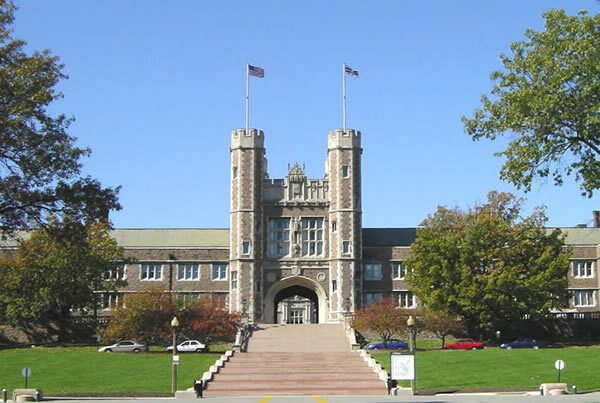 Want more info about Washington University, St. Louis, Olin Business School Full Time MBA? Get free advice from education experts and Noodle community members.